August 31, 2011  Libya's Transitional National Council is calling on police to return to the streets of Tripoli. 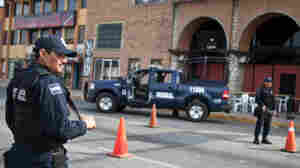 The police fled as rebels took control of the capital. 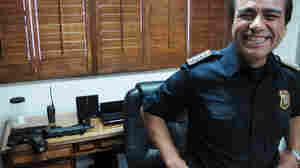 Despite being associated with Moammar Gadhafi's regime, and no money to pay them, some police are returning to work. August 30, 2011  Now that Moammar Gadhafi's regime has lost control of the Libyan capital Tripoli, some Africans have been left vulnerable to attack. Many rebels believe any dark man from sub-Saharan Africa is a Gadhafi mercenary. The Africans say they are in Libya either as laborers or waiting to get to Italy. 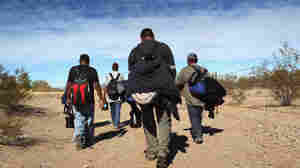 The International Organization for Migration says their plight is a significant problem. August 27, 2011  As the rebel leadership struggles to consolidate control in the Libya capital, residents are facing a shortage of basic supplies, such as food, fuel and water. Electricity is sporadic and the city has been without tap water for days. 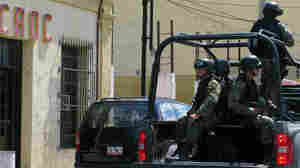 August 4, 2011  In Mexico's ongoing drug war, the country's northern border has become a virtual war zone. But at the same time, the region's economy is flourishing, with factories adding jobs and exports to the U.S. reaching record levels.